The following opinion piece was sent to the BRegs Blog by a specialist conservation architect on December 3rd 2015. There is an alternative opinion on this topic which suggests gaps in the new regulations. 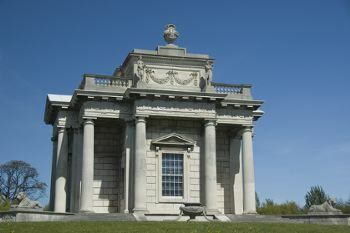 Because planning for Protected Structures only came into 2000 Planning Act and SI.9 only refers to Planning Regulations 1963-93 (now revoked), it could well be that quite an amount of minor works (to protected structures) that require planning permission under the 2000 Act may be undertaken using the short form commencement notice and may not require the services of design or assigned certifiers. We would be interested in getting further input on this from specialist conservation professionals and readers of the Blog. New consumer protections for…spark plugs, not houses! This entry was posted in Alan Kelly, BC(A)R, BCMS, Building Regulations on December 3, 2015 by admin. 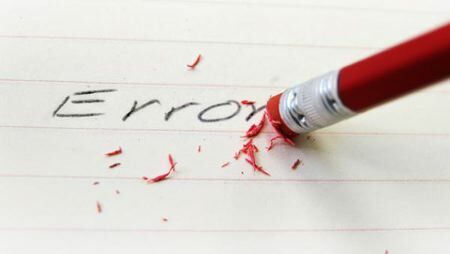 The omission of the significant costs associated with complex administrative building control procedures BC(A)R SI.9 is a frequent mistake, even by members of key stakeholder bodies involved in the formation of the regulations. 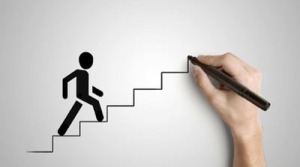 The time and cost required for even modest SME projects is considerable. For a minor SME fit-out with a construction budget of €25,000 for an internal “change-of-use” fit-out, SI.9 building control procedures introduced in 2014 will cost €6,273 including Vat i.e. 25% of the value of the project. The Blog has received other SI.9 quotes for similar projects at over twice this cost (see end of post for full breakdown). “Change of use: I’m starting my own business within the next two years. I’ve got a concrete garage which is sound, but the roof is made of asbestos and is in bad repair. I’m thinking of converting the garage into a kitchen. Obviously it would need a new roof but I’m wondering if there was any other regulations or permission I need to have a kitchen in there. It already has access to water and electricity. Assuming a 30 Sqm internal area, a €25,000 (incl vat) fit-out budget and a 3 week construction period, here are the overall fees and charges one could expect. The following calculation does not include any of the additional administrative costs for the builder. The fit-out will take less than 3 weeks to complete. For a minor SME fit-out with a budget of construction budget of €25,000 incl vat for an internal “change-of-use” fit-out, no external modifications or extensions, planning and building control procedures will cost €15,483 incl vat, over 60% of the construction budget of the project. 40% of this figure relates to Building Control (Amendment) Regualtions SI.9 introduced in March 2015, at €6,273 incl. vat. **All costs except statutory application fees are Plus VAT @ 23%. How much does Building Control cost in the UK (Northern Ireland) for apartments? This entry was posted in BC(A)R, Building Regulations, SI No.9 on December 2, 2015 by BRegs Admin. 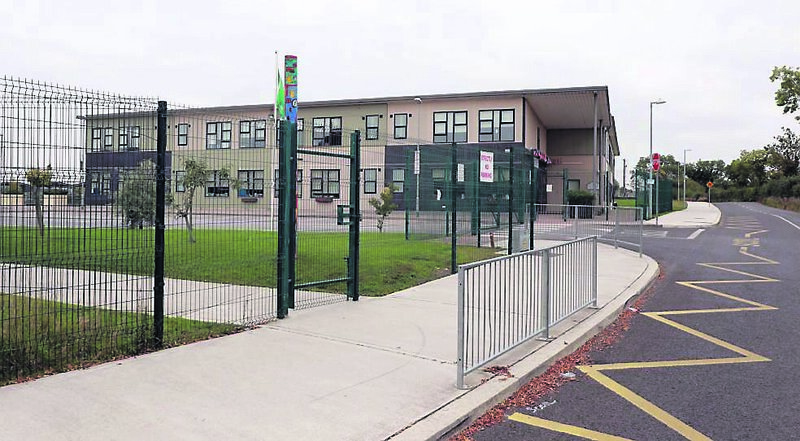 Following serious concerns raised in Rush & Lusk Educate Together School €800,000 had to be spent in emergency fire-safety works to upgrade the six year old building. 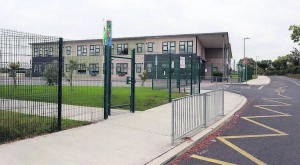 Once the problems at a Rush & Lusk Educate Together School were identified this raised concerns about others schools when it emerged that 26 schools had been built by the same contractor under the RAPID delivery (design-build) Department of Education contracts. These builders are still tendering and winning bids for new Department of Education Schools. A Department of Education spokesperson said (Link:) this is “in accordance with EU procurement regulations” which means the firm is “not precluded from tendering for building projects”. Is Limerick Hotel fire a 3rd “Lucky Escape”? This entry was posted in Alan Kelly, BC(A)R, Building regs, Building Regulations, SI No.9 on October 27, 2015 by BRegs Admin. 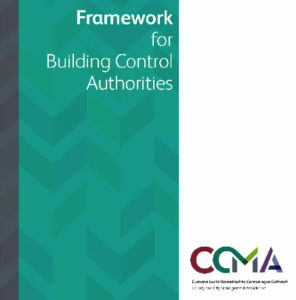 The Framework for Building Control Authorities Version 1.1 was launched in June 2016 (see link here). This new Framework replaces Version 1.0 published in June 2014 (see link here). “Building Control apply generally to new buildings and to existing buildings which undergo an extension, a material alteration or a material change of use… The purpose of the Framework is to provide guidance for Building Control Authorities (BCAs) with respect to undertaking their functions under the Building Control Acts 1990 to 2014 and the Building Control Regulations 1997 to 2015. Processing, validation and adjudicating on applications for Relaxation of and/or Dispensation from particular requirements of the building regulations. Processing, validating, assessing and granting/refusing Disability Access Certificate (DACs) applications-including revised disability access certificate applications. Maintenance of the Statutory Building Control Register. Minister Kelly approves 200 staff: will any go to building control? This entry was posted in BC(A)R, BCMS, Building Control Amendment 2013, Building Control Ireland, Building regs, Building Regulation, Building Regulations, CIF, DECLG, Irish Building Control, RIAI, SI No.9 on September 1, 2015 by BRegs Admin. Minister Alan Kelly has noted that the new building regulations have robust complaints procedures for each discipline involved, guaranteeing consumer protection that if a registered member was found to be in breach of their duties then robust disciplinary procedures would result. Under SI.9 each key stakeholder handles complaints against their own members- Chartered Surveyors police their own SCSI register, architects police the RIAI register etc. Industry commentators consider this to be a clear conflict of interest. Others have suggested that the bar for sanctions and disqualification has been set very high deliberately, that removal from a register may be a remote possibility for members only in the event of gross misconduct. The reality is despite numerous recent high-profile building failures there have been no sanctions against architects or surveyors for complaints in the past 6 years. We will examine some dispute procedures in various registers in upcoming posts. In this one we will look at the Builder’s register, CIRI. The Construction Industry Federation (CIF) operate CIRI, the new register for builders written into BC(A)R SI.9. 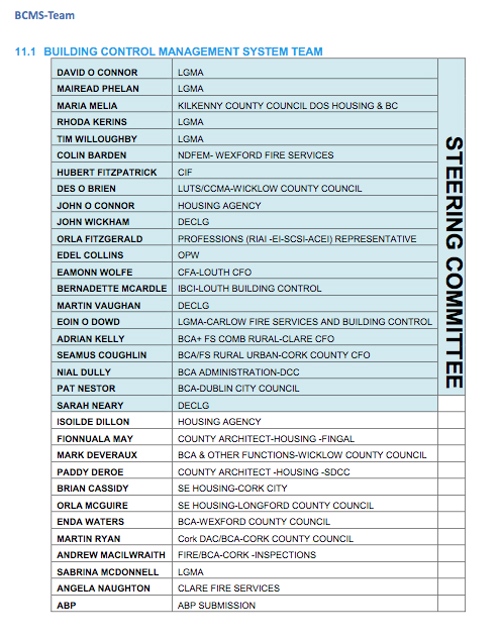 CIRI is currently voluntary but is due to come in on a statutory footing in 2015. The CIF section dealing with complaints under the new CIRI construction register, is here. 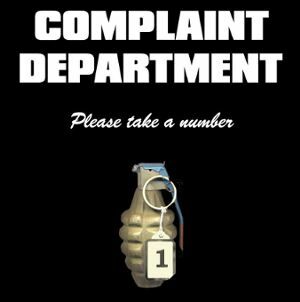 We quote directly from the section on complaints about contractors [emphasis in bold by BRegs Blog]. “What can the CIRI do? Under new building regulations introduced last March, an Assigned Certifier has no rights to instruct any builders or even to enter the building site. It is difficult to see how any professional occupying this role could be in a position to resolve any disputes. The only action that an Assigned Certifier can take is threaten to withhold a Completion Cert. In many cases the Assigned Certifier is an employee or directly contracted consultant, a builder-developer could just fire the Assigned Certifier and hire someone else to sign off. Not great for the consumer. 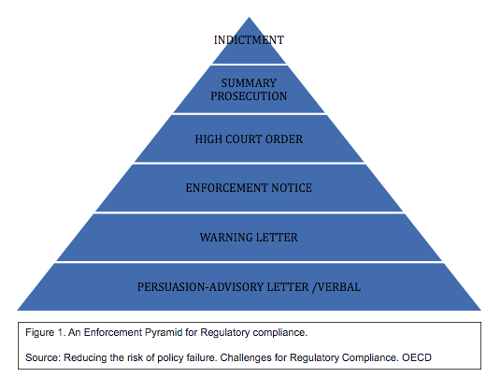 Remarkably there is no recourse to any advisory service, complaints body or ombudsman in the new system. A building regulation dispute could become a stand-off between the builder and certifier. We wonder if the regulators, registered professionals and builders, will provide any new consumer protection? Press article: Government promotes developers over self-builders? 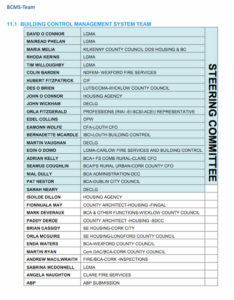 This entry was posted in Alan Kelly, BC(A)R, BCMS, Breg Forum, Bregs Forum, Building Control Amendment, Building Control Amendment 2013, Building Control Ireland, Building regs, Building Regulation, Building Regulations, DECLG, Irish Building Control on April 30, 2015 by admin. Ireland had a problem with safety standards in cars. There were too many older cars, they weren’t being maintained properly. Rural roads and bad weather compounded the problems and “something had to be done“. In 2000 the National Car Test (NCT) was established and now all cars more than 4 years old are tested every year. I recently visited a test centre: in less than 25 minutes and for the cost of €55. I was back on the road. The testing centre ran like clockwork because the mechanics are trained, the equipment is calibrated and the testing standardised. It works and it’s very efficient. They can fully test a car for €55 without making a loss. All centres work to the same system and the roads are safer as a result. If the NCT was run on the BCAR (Building Control Amendment Regulations) model, testing would be carried out in every filling station in the country- all of them would have to train staff and buy in equipment. They would have to continually upgrade machinery and keep it operational, devise their own computer record system, bring in an emissions expert, keep oil samples, file forms and issue reports. It wouldn’t cost €55. Problems might arise when different garages worked to different standards- word would get around about who would turn a blind eye to bald tyres, who didn’t even check the brakes. Inevitably the cheapest garages would attract a lot of business. Despite good intentions there would still be many dangerous vehicles on the roads. The powers that be might also find it very difficult to keep track of thousands of operators. It might prove impossible to police the system effectively or to tackle the cowboy operators. Perhaps the diligent operators would be priced out of the market in a race to the bottom. Some garages might find it impossible to keep up: a staff member who is selling cars, ordering parts and meeting customers might find it very hard to stay on top of a raft of ever changing technical requirements, and also manage the administration, testing and reporting. Having invested heavily in the new system some operators might then have to stop offering the service altogether, their customers might find they can get a cheaper inspection from a specialist garage who has dedicated staff and equipment. Customers might see the benefits of dedicated centers of excellence where specially trained staff could do the job better and faster. These specialist operators wouldn’t be distracted by other tasks, they could work more efficiently and develop greater expertise. Every local garage would have to raise their game to meet the standards of the specialist inspectors, improving safety right across the country. The Local Authorities could readily police the system by spot check audits on the inspectors. In time, as their systems improved and the volume of business grew, inspection specialists might be able to offer a good service for as little as €55. Just like the NCT. Perhaps BCAR has something to learn from this? Dedicated specialist staff and standardised systems, monitored by the local authorities are more cost-effective, easier to quality control and ultimately, everyone is safer. The above opinion piece was received from Orla Hegarty B.Arch. MRIAI RIBA who is Course Director for the Professional Diploma (Architecture) at the School of Architecture, UCD. This entry was posted in Alan Kelly, BC(A)R, Building Regulations on April 27, 2015 by admin. SI. 9 and Insurance | Better Latent than never? SI.9 and Insurance | Better Latent than Never? One of the key criticisms of SI. 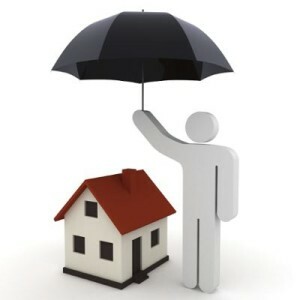 9 is that it affords no better protection to the consumer who may encounter a difficulty with a building defect. Building owners still have no recourse other than to pursue the builder and Assigned Certifier responsible through the Courts with no guarantee of success, which is both costly and time-consuming. Fixing the problem relies on proving negligence by the builder and Assigned Certifier: the builder may have recourse to a structural guarantee or the Assigned Certifier may have a Professional Indemnity insurance policy but the home-buyer has no rights to make a direct claim on them. A better system that operates in other countries (often mandatory with a mortgage policy) is a Latent Defects Insurance policy for the direct benefit of the buyer. Latent Defects Insurance (LDI) is a form of insurance taken out for new-build premises to provide cover for the owner in the event of an inherent defect in the design, workmanship or materials becoming apparent after completion – usually for ten years. It offers a fairly straightforward and affordable direct means of redress for the building owner and it would be commonplace for new construction in many EU states. It was a Red Line issue for the professional stakeholder groups negotiating SI. 9 with the Department of the Environment but it was not made mandatory when SI. 9 legislation was introduced. To date it appears that there is very little interest in the insurance market either nationally or within the EU at present to provide such insurance to the Irish construction sector. A further insurance problem has arisen with SI. 9 in the event that an employee, who acted as an Assigned Certifier , leaves their employment or where the company that employed them goes bankrupt or winds-down. Where an Assigned Certifier employee finds themselves, for whatever reason, not covered by their employer’s Professional Indemnity policy they will be held personally liable for any loss or damage incurred for buildings where they acted as certifier. The term for this is “employee’s liability overhang” and for this reason most certifiers will be principals or owners of companies, not employees. Such insurance policies would have to be held by the professional groups involved and this would expose them to enormous risk in the event of substantial claims. Latent Defects Insurance could prove attractive to the professional organisations as potential revenue streams but there must be wider concerns that would suggest it is inappropriate and potentially reckless for membership organisations to involve themselves in commercial activities such as latent defects insurance. PII Insurance increase under SI.9 with no cover for pyrite? What is Latent Defects Insurance and how much does it cost? This entry was posted in Alan Kelly, BC(A)R, Building Regulations on February 25, 2015 by admin. SI.9 | The Right to self-build is O.K. – if you live in the U.K. The ‘Right to Build’ is the latest in a range of measures designed to help those looking to build their own home in the U.K. Eleven areas will benefit from the latest U.K. government-backed opportunity to help aspiring custom or self-builders get their projects off the ground. These 11 chosen areas will establish and maintain a register of prospective custom and self-builders in the area and begin to identify shovel-ready sites for those on the register – becoming the first to offer local people the right to design and build their own home often at a lower cost than buying an existing property. In Ireland if you are a building contractor and a Director of your own firm with at least three years relevant experience, there is no problem with building for yourself. Otherwise, you will have to hire a professional contractor from the soon to be mandatory Construction Industry Federation’s (CIF) own register. The additional cost to employ a CIF registered builder makes house building projects unaffordable for most people. Industry estimates put the additional cost to a typical self-builder at 22%, or over €40,000 on a €180,000 house. It would appear that SI.9 is causing huge numbers of self-build house projects to be abandoned due to these increased costs, and is a drag on increased housing supply. Minister for State, Paudie Coffey T.D. indicated last month that the unforeseen consequences of SI.9 on self-build is something he has asked his Department to examine. This entry was posted in BC(A)R, BCMS, Building Regulations and tagged Self-build, si.9, uk building control, uk right to build on February 6, 2015 by admin. HomeBond | the solution to SI.9? The following opinion piece was received from a registered professional on 26th January 2015. There has been a lot of comment recently on the new building regulations adding hugely to the costs of building a home. Some suggest SI.9 has added over 20% extra to the cost of house building. Certainly, when the cost of using a main contractor is factored in for a self-builder the costs are indeed considerable. Others have suggested that we should embrace additional cost if the system will deliver better building. Only time will tell whether the current reinforced system of self-certification will yield consumer benefit. However, a low-cost certification system currently being developed for the speculative sector may have applications to the self-build and one-off houses. This is currently 46% of housing output according to recent DECLG figures. Any impediment to self-building needs an urgent solution. This is currently being piloted on small multi-unit developments. Certificates for Building Control sign-off are provided by HomeBond’s own employees. I am not aware of details of their Professional Insurances held at this point so am unable to comment. While some commentators have concentrated on possible exclusions, I do not have details of the scheme and what is covered or excluded at present. However there are interesting aspects to this scheme. Many developers of speculative housing are not necessarily competent builders. They buy a site, engage professionals, borrow money and hire sub-contractors, in much the same way as self-builders, but on a larger scale. Developers would suggest that this was a cost driven model, driving down costs for consumers etc. The HomeBond scheme is of interest to the self-build sector as it provides a low-cost version of privatised Building Control. Indeed some consider this is precisely what former Minister Hogan had in mind when he (and his Department) issued guidance on costs of the new system of between €1000 and €3000 per housing unit. Some argue that this is a better model to an all-in professional service where the same person provides certification duties as well as architectural, planning, engineering and design services. The HomeBond separate appointment could provide peer review with the added benefit of a defects insurance at a modest cost. Could this scheme could provide a solution to SI.9 problems at the moment? Certifier Costs would be reduced: anecdotally representatives for self-builders have reported increased professional costs ranging from €6k- €30k for assigned certifier duties. An extended version of HomeBond would significantly reduce this cost. Certifier availability: current advice from the Law Society to the IAOSB indicates an unwillingness of certifiers – architects in particular – to undertake self-build projects, . Availability of HomeBond for once-off owner constructed houses would significantly improve this situation. Some suggest the restrictive nature of registers of competent persons has had the effect of reducing the pool of available certifiers, and increasing costs. Contractors: if the HomeBond scheme was geared towards inexperienced owner/ builders, owners would not have to use CIF registered (CIRI) builders for projects. This would reduce the bulk of SI.9 additional costs that are currently acting as a deterrent to self-builders. Of course details of duties, cover, exclusions, professional insurances held by in-house HomeBond certifiers would need to be looked at. It is surprising that all of the mandatory sub-certification such as waste water and energy compliance can be done at this cost. However if pilot schemes are underway on BCMS validated projects at present, one can only assume all these details have been worked out to the satisfaction of the current Minister, Department and the BCMS. An added bonus for ‘one-stop-shop’ design and assigned certification being provided separately by HomeBond would be that suitably qualified professionals currently excluded by stakeholder registers, such as Architectural Technologists, could still operate in all other areas of procurement as before, minimising impacts of SI.9 to their liveleihoods. A HomeBond solution (or something similar) could solve a number of problems. One must assume if this scheme is appropriate for owner-developers of multiple units, it should also be suitable for owner/developers of once-off houses. * Note: this may be more limited than Latent Defects Insurance. The Homebond policy is taken out by builder and may offer limited benefits to purchasers, see more from Beauchamp Solicitors here:. This entry was posted in Alan Kelly, BC(A)R, BCMS, Breg Forum, Bregs Forum, Building Control Amendment, Building Control Amendment 2013, Building Regulations on January 29, 2015 by admin. Most professionals involved in Public Sector projects feel that the additional red tape of SI.9 that mirrors duties and documentation that were already required is unnecessary and a waste of public finances. 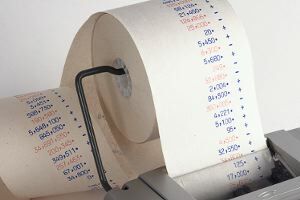 Most contributors to this Blog have confirmed that applying the same methodology for the speculative residential sector (where full-service appointments are not the norm) to public sector procurement makes no sense. On a €3m value school project this translates into approximately €25,000 additional fees for EACH Ancillary Certifier (structural and services) while the more onerous role of Assigned Certifier /Design Certifier can expect a fee in the region of €35,000. We have heard of total consultants’ fees up to €100,000 on larger school projects for additional SI.9 duties. These fee levels may vary from project to project, and fees may be a larger percentage for smaller projects. Additional costs associated with SI.9 may be twice this figure when contractors and specification issues are factored in. The following is a typical scope of services as noted by an engineer for duties associated with the Ancillary Certifier role. Interestingly we have not seen an architect’s scope of service or fee for the same role where the architect is only prepared to act as an Ancillary Certifier. Under SI.9 the statutory duties of Design Certifier may be undertaken by any designer on the project and the Assigned Certifier role by any competent registered professional. At Commencement stage :-In accordance with the Code of Practice (7.1.1 ) agree Preliminary Inspection plan with Design and Assigned Certifier. Agree final Inspection Plan with Assigned Certifier. Identify all civil/ structural and M&E Specialists with design function and agree Ancillary Certificate requirements. At site stage : In accordance with the Assigned Certifier’s agreed Inspection Plan carry out specific works inspections. Attend all agreed and scheduled inspections/ interim inspections and co-ordinate with the Assigned Certifier. Compile and keep records of all meeting minutes, correspondences, site inspections, site reports , contractor proposals/sketches, record observations, instructions for remedial works, contractor corrective action reports, issue any clarifications necessary, and re- inspect any remedial works as required. Maintain telephone records. As required under SI 9, 2014 maintain file copies of all structural calculations. Retain site specific investigation / test reports. Coordinate the production of as-built drawings for validation submission to Building Control Authority and BCMS at the completion stage of the project. At Project Handover Stage / Works completion:- Provide required ancillary certification for validation submission to Building Control Authority and BCMS at the completion stage of the project. Compile other ancillary certificates and issue to Assigned Certifier. Issue a record of all compliance reports and assemble all ancillary structural and civil specialists and M&E specialists Ancillary design certificates. ( Sd Sc and Si as agreed with Stakeholder bodies) to the Assigned Certifier. The decision to adopt Statutory roles or not and any negotiation on fees and services is a matter for individuals as there is no collective bargaining. *fee percentages normally increase for smaller projects. These consultants fees exclude additional costs for insurance, certification, professional indemnity exposure caused by the significantly greater risk as to liability, currently untested. We believe the additional costs for the work associated with contractor, sub-contractor and supplier costs, specification and inspection oversight will at between 3- 5% onto these costs. Total additional cost for SI.9 for school projects av. +7%. This entry was posted in BC(A)R, BCMS, Building Regulations, DECLG, Irish Building Control, RIAI, SI No.9 on January 12, 2015 by BRegs Admin.